Reverend Charles H. Kittrell was born in LaGrange, NC to the proud parents of Charles and Ruth Grace Kittrell. He is married to the former Barbara M. Hill of Kinston, NC, and to this union was born two children, a son, Charles Jr. (Junior) and a daughter, Vonda Kittrell. Reverend Kittrell was reared in Rouse Chapel Missionary Baptist Church under the leadership of the late Moderator Earl Daniels. At age 18, he accepted Jesus Christ as his personal Lord and Savior and was baptized. Reverend C.H. Kittrell was licensed into the Gospel Ministry to preach and exercise his gifts on March 25, 1978. In August of 2003, after the resignation of Reverend Walter Coles as senior pastor, Reverend Kittrell took the active role as interim Pastor of Rouse Chapel Missionary Baptist Church (LaGrange, NC). In January 2005, he was elected as pastor of the church. 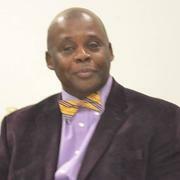 Reverend Kittrell actively participates with many organizations including: the National Baptist Convention, Inc., North Carolina General Baptist State Convention, Women Home & Foreign Missionary Convention, Lott Carey Foreign Mission Convention, Your Choice Mental Health Services, as well as many other civic organizations. He currently serves as the First-Vice Moderator of Bear Creek Missionary Baptist Association (Goldsboro, NC). Reverend Kittrell is employed by Lenoir County Public Schools as a Behavior Specialist. He is one of three certified Nonviolence Crisis Intervention Instructors (CPI) for Lenoir County Public Schools. This involves the training of the staff with strategies for safely defusing anxious, hostile, or violent behavior at the earliest possible stage. He is also a Gang Prevention Counselor. Constantly being trained to assist youths, in May 2016, he received a certificate in Mental Health First Aide, a program to help prevent teen suicide. A former Recreation Center Assistant Director, a High School & Middle School Coach, Reverend Kittrell has received numerous awards, accolades, and certificates throughout his career.